Sodium People have held salt (sodium chloride) in high regard throughout recorded history. People who are being admired are marked as “the salt of the earth” and people who are not productive as “not worth their salt.” The word salary comes from the Latin word for salt, a valued commodity. Cultures vary in their use of salt, but most people find its taste innately appealing. Salt brings its own tangy taste and enhances other flavors, most likely by suppressing the bitter flavors. Sodium is the principal cation of the extracellular fluid and the primary regulator of its volume. Sodium also helps maintain acid-base balance and is essential to nerve impulse transmission and muscle contraction. 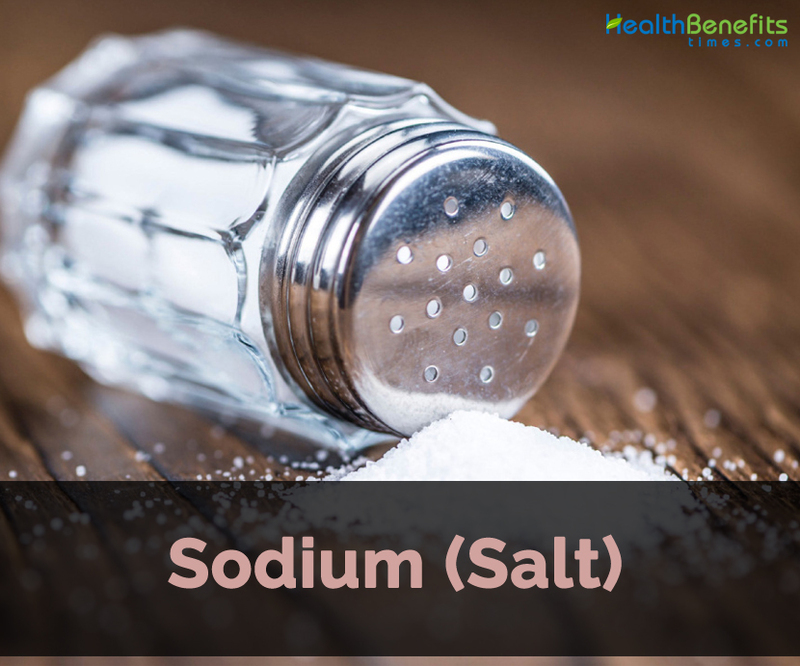 Sodium is readily absorbed by the intestinal tract and travels freely in the blood until it reaches the kidneys, which filter all the sodium out of the blood. Then, with great precision, the kidneys return to the blood the exact amount of sodium the body needs. Normally, the amount excreted is approximately equal to the amount ingested on a given day. When blood sodium rises, as when a person eats salted foods, thirst signals the person to drink until the appropriate sodium-to-water concentration is restored. Then the kidneys excrete both the excess water and the excess sodium together. Both too much and too little sodium in the diet increase the risk of heart disease. 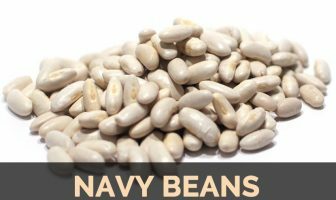 The key to good health, then, is finding the balance that meets the relatively small need for this essential nutrient but does not exceed the amount that leads to hypertension and heart disease. Diets rarely lack sodium, and even when intakes are low, the body adapts by reducing sodium losses in urine and sweat, thus making deficiencies unlikely. Sodium recommendations are set low enough to protect against high blood pressure, but high enough to allow an adequate intake of other nutrients with a typical diet. Because high sodium intakes correlate with high blood pressure, the Upper Level (UL) for adults is set at 2300 milligrams per day, as is the Daily Value used on food labels. The average sodium intake in the United States is 3400 milligrams, which exceeds recommendations—and most adults will develop hypertension at some point in their lives. For years, a high sodium intake was considered the primary factor responsible for high blood pressure. Then research pointed to salt (sodium chloride) as the dietary culprit. Salt has a greater effect on blood pressure than either sodium or chloride alone or in combination with other ions. The response to a high salt meal may be immediate, reducing blood flow through arteries; this condition is reversible if such meals are not habitual. The elevation of blood pressure in response to a high-salt diet over years is progressive, and the damage caused to blood vessels is irreversible. Blood pressure increases in response to excesses in salt intake—most notably for those with hypertension, African Americans, and people older than 40 years of age. For them, a high salt intake correlates strongly with heart disease, and salt restriction (to no more than 1500 milligrams of sodium per day) helps to lower blood pressure. Salt-restricted diets lowers blood pressure and improves hear t disease risk in people without hyper tension as well. Because reducing salt intake causes no harm and diminishes the risk of hypertension and heart disease, the Dietary Guidelines for Americans advice limiting daily salt intake to about 1 teaspoon (the equivalent of about 2.3 grams or 2300 milligrams of sodium). The American Heart Association goal is to lower blood pressure by reducing sodium intake to less than 1500 milligrams a day. Given the current US food supply and typical eating habits, creating a nutritionally balanced diet that meets sodium recommendations can be quite a challenge. One eating pattern, known as the DASH (Dietary Approaches to Stop Hypertension) Eating Plan, is especially effective in lowering blood pressure. Like other USDA Food Patterns, the DASH Eating Plan reflects the Dietary Guide-lines and allows people to stay within their energy allowance, meet nutrient needs, and reduce chronic disease risk. The DASH approach emphasizes potassium rich fruits, vegetables, and low-fat milk products; includes whole grains, nuts, poultry, and fish; and calls for reduced intakes of sodium, red and processed meats, sweets, and sugar-containing beverages. In combination with a reduced sodium intake, DASH is even more effective at lowering blood pressure than either strategy alone. In addition, DASH lowers the risk of some cancers, heart disease, and stroke. A high salt intake is also associated with increased calcium excretion, but its influence on bone loss is less clear. In addition, potassium may prevent the calcium excretion caused by a high-salt diet. For these reasons, dietary advice to prevent bone loss parallels that suggested for hyper tension—a DASH eating pattern that is low in sodium and abundant in potassium-rich fruits and vegetables and calcium-rich low-fat milk. In general, processed foods have the most sodium, whereas unprocessed foods such as fresh fruits and vegetables have the least. In fact, as much as 75 percent of the sodium in people’s diets comes from salt added to foods by manufacturers; about 15 percent comes from salt added during cooking and at the table; and only 10 percent comes from the natural content in foods. Among foods with the highest sodium density (milligrams of sodium per calorie) are those from fast food and pizza restaurants. Because sodium intake tends to increase as calories increase, making food choices based on low sodium density is a practical and effective way to lower sodium intake enhances salty perceptions with less salt. Reducing the sodium content in processed foods could prevent an estimated 100,000 deaths and save up to $24 billion in health care costs in the United States annually. Because processed foods may contain sodium without chloride, as in additives such as sodium bicarbonate or sodium saccharin, they do not always taste salty. Most people are surprised to learn that 1 ounce of some cereals contains more sodium than 1 ounce of salted peanuts—and that ½ cup of instant chocolate pudding contains still more. The peanuts taste saltier because the salt is all on the surface, where the tongue’s taste receptors immediately pick it up. To help consumers limit their intake, public health organizations and policymakers worldwide are calling for manufacturers and restaurants to reduce sodium in the food supply. In addition to reducing the sodium content of foods, food scientists are designing products to enhance salty perceptions with less salt. Reducing the sodium content in processed foods could prevent an estimated 100,000 deaths and save up to $24 billion in health care costs in the United States annually. Sodium deficiency does not develop from an inadequate diet. The body needs so little and diets provide enough. Blood sodium may drop with vomiting, diarrhea, or heavy sweating, and in these cases, both sodium and water must be replenished. Under normal conditions of sweating due to physical activity, salt losses can easily be replaced later in the day with ordinary foods. Salt tablets are not recommended because too much salt, especially if taken with too little water, can induce dehydration. During intense activities, such as ultraendurance events, athletes can lose so much sodium and drink so much water that they develop hyponatremia—the dangerous condition of having too little sodium in the blood. Symptoms of hyponatremia include headache, confusion, stupor, seizures, and coma. Importantly, hyponatremia is caused by excessive sodium losses, not from inadequate sodium intake. The immediate symptoms of acute sodium toxicity are edema and high blood pressure. Prolonged excessive sodium intake may contribute to hypertension in some people. Salt (sodium chloride) is about 40% sodium and 60% chloride. Select fresh or frozen vegetables. If buying canned vegetables, drain and rinse in water to remove some of the sodium or select those labeled low-sodium or no-salt-added. Cook with little or no added salt. Prepare foods with sodium-free herbs and spices such as basil, bay leaves, curry, garlic, ginger, mint, oregano, pepper, rosemary, and thyme; lemon juice; vinegar; or wine. Add little or no salt at the table; taste foods before adding salt. Read labels with an eye open for sodium. Select low-salt or salt-free products when available. Foods prepared in brine, such as pickles, olives, and sauerkraut. Salty or smoked meats, such as bologna, corned or chipped beef, bacon, frankfurters, ham, lunch meats, salt pork, sausage, and smoked tongue. Salty or smoked fish, such as anchovies, caviar, salted and dried cod, herring, sardines, and smoked salmon. Snack items such as potato chips, pretzels, salted popcorn, salted nuts, and crackers. Condiments such as bouillon cubes; seasoned salts; MSG; soy, teriyaki, Worcestershire, and barbeque sauces; prepared horseradish, ketchup, and mustard. Packaged instant or flavored rice, pasta, and cereal mixes. Previous ArticleShould You Take Supplements?